Working as a mountain guide provides for a strange life. However, there are a few of us who participate in "normal" activities. There are a few of us who don't live out of a car. And indeed, there are a few of us who even have kids. 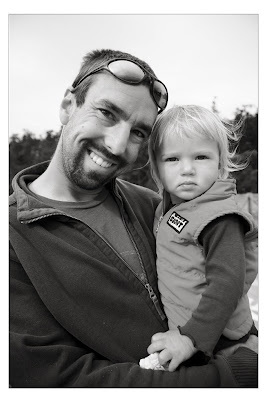 This blog is devoted to those wonderful children who are growing up with a mountain guide as a parent. First we have a series of photos from the Kuhnleins. Peter Kuhnlein has been working for AAI since 2002. He no longer works for us full time, but does pick up trips here or there. 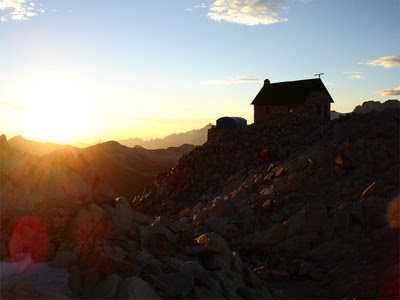 In mid-June he successfully guided the Mountaineers Route on Mount Whitney. He and his wife Lisa run a photography studio in Anacortes. Their daughter Madelyn is 2 years and three months old. And they're expecting another one! AAI Guide Joseph Anderson has two young boys. His older son, Jacob just finished kindergarten. His younger son, Elias, is two and a half. A number of the proceeding pictures are from a rock climbing trip to Leavenworth, Washington. In the second photo, Jacob is climbing Meat Grinder, a seriously sandbagged 5.10a. 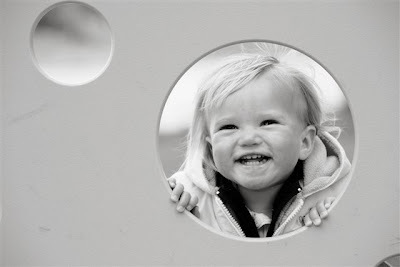 AAI Guide Jason Martin has an 11 month-old daughter and a son on the way. Jason's daughter is already well traveled. In the proceeding photos she is in Yosemite National Park, Red Rock Canyon and Seattle. She has also been fortunate enough to visit Joshua Tree National Park, Flagstaff, and Albaqurquie. 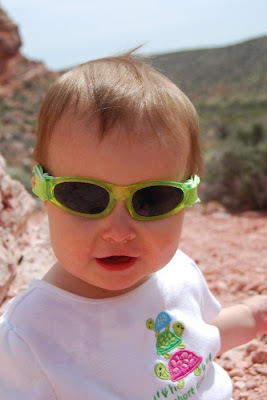 In this last photo, Holly is posing at the Red Rock Rendezvous. She is holding up an AAI catalogue that is open to a page that features a photo of her daddy. As stated above, both Jason's and Peter's wives are pregnant. AAI Guide Richard Riquelme's wife is also expecting. Rest assured, there will be more news on each of these upcoming additions to the AAI family. In order to address the demand for economical one day beginner level rock climbing courses in the Pacific Northwest, the American Alpine Institute is proud to present our new Intro to Rock Climbing course. This course will be run at a scenic cragging area just outside of Anacortes, Washington. Mount Erie is an exceptional low land climbing destination with a wide array of beginner to intermediate level routes. Participants will revel in both the spectacular climbing there as well as in the phenomenal views. To read more about this new program, click here. To read about all of our rock climbing programs, click here. Breaking News -- 11 Hikers Missing in the Sierras! Nine teenagers and two adults are currently missing on an Outward Bound trip in the high Sierra just east of Fresno. Fresno County Search and Rescue teams were deployed yesterday when the Outward Bound group failed to meet an additional instructor at a predetermined meeting place. The team was outfitted with enough food and supplies to make it until June 27th. To see a video on this topic, click here. To read an article about this rescue effort, click here. The metaphor for cancer research is complete. There are more unclimbed mountains to challenge. Late on Saturday, our team of Farmer, Dawn, Kevin and Bayard on the Big Expedition for Cancer Research determined that they had reached the safe limits of their attempt to climb one of Alaska’s unclimbed peaks. For 9 hours, they battled unstable snow, ice and rock to move within 500 vertical feet of the summit of Peak 8290 in Glacier Bay’s Fairweather Range. The two rope teams huddled at the high point and called an end to their attempt of the unclimbed mountain in the inaugural Big Expedition for Cancer Research. Lee Hartwell, president and director of the Hutchinson Center, when receiving the news said “"The climbers are to be congratulated for going so far under trying conditions but especially for putting safety first. It is a true reflection of a principle that governs the research we do in each of our clinical trials. We are proud of the team for their successful challenge of this unclimbed mountain." “Extremely hazardous” were the first two words out of Farmer’s mouth when he made the sat phone call back from base camp to Seattle. "We gave this mountain everything we had within the boundaries of safe, rational mountaineering standards. Sometimes the mountain sets the limits and we have to accept them,” he said. The team had been battling deteriorating weather conditions for three days. After establishing their 5100-foot base camp at the end of the week, they spent a day carrying a cache of climbing equipment top of a saddle at an elevation of 5500 feet for better access to their proposed route. They returned and began to plan their ascent of the Northeast Ridge of Peak 8290. It was determined that leaving early in the evening would help mitigate the daytime warming temperatures that were making the snow and ice very unstable. The National Park Service in Glacier Bay National Park and Preserve was very supportive and helpful throughout the expedition relaying weather conditions to the team on a regular basis. The team left base camp on skis at 9:15 pm on Friday evening. They reached their cache in less than an hour and changed into climbing boots for the ascent. The team then traversed the flank of the ridge, working slowly and meticulously to avoid crevasses and other objective danger. They again took stock of the route in front of them and then moved up onto the Northeast Ridge as a group in two rope teams. Farmer and Dawn n one team and Kevin and Bayard on the other. Progress was slow. The snow was very soft and mushy and there was avalanche danger to avoid as they progressed. Above the 6000 foot level, they encountered unstable rock under the snow as they slowly ascended closer to the rock pyramid at the top of the mountain. What they realized as they crossed the 7000 foot level was that this mountain was “a big pile of rocks”. The Northeast ridge and it summit pyramid had looked majestic from a distance, but in reality “it was like stacks of china teetering in the wind”. Every step was a balancing act. At approximately 7800 feet, the rope team of Mahoney and Russell looked hard at the treacherous traverse over to the summit pyramid. It was a 70 degree slope covered with crusty, “sugary” snow. The area was unsupported and there was no protection if it broke away and slid down the mountain. The danger was greater to those below the lead climber because anything (ice or rock) that was punched out by a foot or an ice axe would fall on those following behind. After evaluating the treacherous situation, the two teams made the decision together that the summit was not to be. This was not a mountain that was ready to be conquered. After accepting that fact, “We were comfortable that this was the right decision. We had met the challenge and found it to be too daunting for us to return safely, if we advanced any further,” Farmer said. The descent to base camp was arduous as a new weather front moved in and it began to snow. 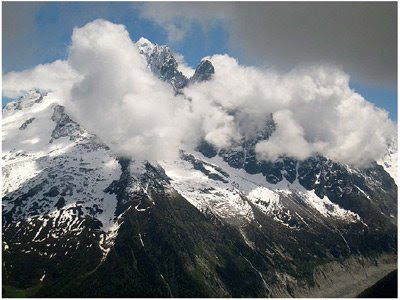 The team reached base camp late Saturday afternoon and took stock of their encounter with the mountain. Two other less attractive unclimbed peaks nearby were discussed among the team members and it was determined that the same rock and ice conditions would be encountered there. Putting that option to rest, the group made the call back to headquarters in Seattle to say that the Big Expedition was coming home. Thousands of interested citizens have followed this journey for cancer research in the media and online. Success is in the advancement of the cause. The Big Expedition for Cancer Research is a concerted effort to draw the public closer to the enormity of this task. As the team returns, the quest for more unclimbed mountains continues. Late in the afternoon on Friday, AAI got the following report from Dawn Glanc's team in Alaska. Dawn was selected as one of four climbers to climb an unnamed and unclimbed peak in Alaska in order to raise awareness of cancer research. The four mountaineers attempting an unclimbed mountain in Glacier Bay National Park are in position to make a summit attempt in the next two days. “Our nemesis is the wet, slushy snow. When we’re not using our skis we’re “post-holing” (sinking in the snow) up to our knees. It’s very tough going,” said Farmer via satellite phone. They have established a base camp on the south side of a saddle in the Fairweather Range at about 5100 feet. “We have a beautiful view looking south across the snowfield. We can even see the water. We think it’s the ocean but we’re not certain,” Farmer reports. Yesterday, the team took their skis and some other equipment like bivy sacks (high altitude overnight sleeping bags) to a stash closer to Peak 8290 for the summit attempt. They plan to leave base camp at midnight tonight (Saturday, 12 am), pick up their skis and equipment and move across the northeast flank of the mountain. That should take them about two hours. They want to do as much climbing as they can during the night because that is as cool as the mountain will get in this weather. Their route will be direct up the northeast ridge of the mountain. The first 2000 feet of the ridge are in the snow. It is then that they encounter the final 1000 feet to the summit on a “perfect rock pyramid”, as they described it earlier in the week. Selected by an advisory committee made up of climbing legends, (Matt) Farmer, Dawn Glanc, Kevin Mahoney and Bayard Russell have come together as team to climb this unclimbed and unnamed peak in the name of Fred Hutchinson Cancer Research Center. This national awareness project is a metaphor for the valuable work being done at the Hutchinson Center and in many other locations around the world to eliminate cancer as a cause of human suffering and death. We anxiously await their next report. For more information on their expedition, click here. The log bridge used to cross the creek just out of the parking lot on the north side of Mount Baker is now gone. The bridge was seriously damaged by this year's heavy snowpack. Many parties used the damaged bridge, but it appears to have finally given way. The Forest Service plans to repair the bridge after the snow on the road melts out. It is likely that snow will remain on the road to the parking lot for another two to three weeks. It's time for another edition of the Weekend Warrior -- Videos to get you Stoked! This weekend is a special one here in the North Cascades because it looks like the end of our cold, dreary Junuary (June and January combined for those who are unfamiliar with the term) weather. We have some fantastic videos to get you motivated to go out and play in the mountains! Our first video we present to you features one of our favorite local climbing areas to the North, Squamish. Watch as Sonny Trotter finally nabs the first free ascent of Cobra Crack, an aesthetic 5.14 line up a beautiful granite face. Just watching this video gets my arms pumped! Check it out here. The second video we have for you this weekend is actually a trailer for the climbing movie, "Beyond Gravity". The video features almost every type of climbing you can imagine. Watch as climbers offer insight into why they climb and what inspires them. Click here to watch. The final video for all you weekend warriors is shot in a place you wouldn't want to stay for only a weekend. This video features the beautiful alpine scenery of the Alps. 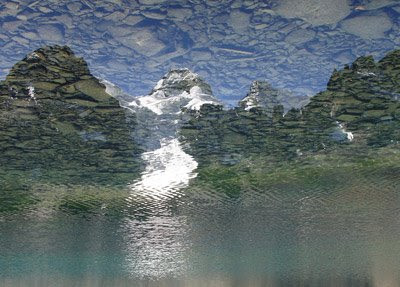 Get up close and personal with the Matterhorn and surrounding peaks here. Every week, we take the reader into the interesting and ever-changing life of an American Alpine Institute guide. 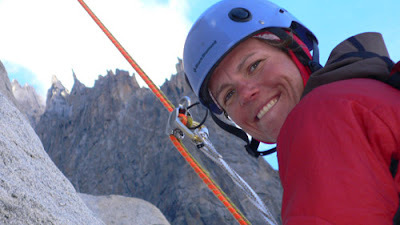 Every AAI guide is very experienced in alpine and rock climbing, and all have received professional training in advanced guiding techniques and rescue. Collectively they have one of the highest levels of wilderness first aid, avalanche, and Leave No Trace training among the world's international guide services. 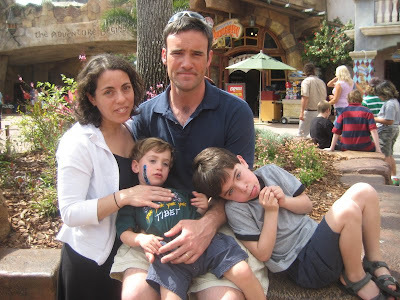 This week, we interview Ian McEleney, one of our most recent hires. Ian is an extremely careful, diligent, and experienced climber and we are very excited about the upcoming trips that he is guiding. Upcoming courses with AAI: Alpinism 2, where we’ll get to climb some alpine rock and a glaciated peak. We get a piece from every part of the Cascades buffet. What made you decide to become a guide? I’ve loved climbing from the day I started. I also really enjoy teaching, and my degree is in education. So guiding seemed like a logical job choice. The first time I visit an amazing place is always the best, because I’m seeing it with new eyes. Subsequent visits can be awesome, but they lack that first time magic. When I get the chance to bring someone to a place and they think it is amazing too, I get a little piece of the magic back. Everyone has a unique learning style, so being able to teach the same concept in multiple ways can really help people get it. Also, of course, patience. Chocolate, a jacket with a hood, and a positive attitude. 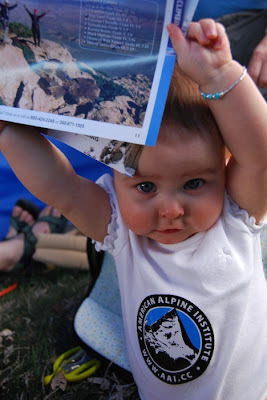 How old were you when you first started climbing? I led my first cl imb when I was 22. I already had a lot of backcountry experience backpacking. I had this crazy idea that it might be fun to pick two points on a map, draw a straight line connecting them, and travel that line. Of course, that would require some skills. With walking covered, vertical terrain seemed next on the list. I picked up some books on climbing and began the long and exciting task of teaching myself to climb. Knowing what I know now, some of the things I did then seem pretty crazy. How do you stay in shape, and what are your favorite training activities? Dave Mayville, a Joshua Tree guide and all around badass, says that the only exercise one needs to do for climbing are one legged squats, because climbing is all about footwork. I don’t really train per se, I just get out there and play as much as possible. There’s no training as effective as a good adventure. I don’t really have any climbing heroes, except for my climbing partners. Josh Harding, Brian Post, Eric Braswell, and Bernadette Regan are the people I’ve most enjoyed being tied to. I really like going to movies, eating ice cream, and sewing. Zion National Park in Utah and the Tetons are probably my favorite spots. Crack climbing is my favorite style of climbing. To many people, I think, crack climbing feels unnatural, but to me there is nothing so secure as getting a body part firmly wedged in the rock. I also like covering a lot of terrain. Probably Touchstone, in Zion. It’s not the hardest free climbing I’ve done, but it has both free and aid climbing, it’s long, and the descent is not simple (especially in the dark). It’s also a lot of fun. I’d rather try something new than throw myself at the same difficult route or boulder problem over and over. This probably slows my progression to more difficult routes. This Sunday, there will be a breast cancer benefit for AAI's long-time Arts and Graphic Design Manager, Kim Carson. This show will feature Swamp Mama Johnson, a funky and bluesy band, as well as other well known artists in the community. 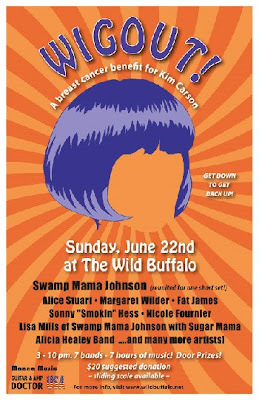 Kim, the drummer for Swamp Mama, will be putting on a great show. Please come join us at the Wild Buffalo for a good time - and wigs suggested but not required! Can't be there but want to donate anyway? Climber David Salesin of Seattle, with AAI’s Chamonix based guide Pete Mason, had a very successful trip on Mont Blanc, having been able to summit in a very small weather window. Bad weather has shut down the majority of climbing teams these past few weeks. It is absolutely pouring with rain outside right now, and when ever you get a glimpse up through the clouds you see fresh snow on the lower hillsides as well as the mountains. It was with these cold and snowy weather patterns in mind after arriving at Mont Blanc’s Gouter Hut that Pete and David came to the conclusion to then carry on to the summit that afternoon and evening rather than risk waiting for the traditional early morning start and getting weathered out. On Monday, June 16, the four mountaineers on the Big Expedition for Cancer Research were on the Brady Icefield and picking up their pace toward base camp. Via satellite phone, Matt Farmer, who likes to be called Farmer, said that the team was in good shape and moving toward the Southeast corner of the icefield where they will get their first look at Peak 8290 from the ground. Since arriving at Reid Inlet on Saturday, the team has had two good days for travel. On Saturday, they moved all their gear approximately 1.5 miles up to the top of Reid Glacier. The terrain was too steep to use their sleds so they each had to make three round trips with only their packs to reach their first overnight camp. Not 5 minutes after they brought their last load to the campsite, the “Visitor” appeared. Remember the bear that the Park Service told them about? He poked his head up over the moraine not 50 feet away and just looked at them. The team grabbed every pot, pan and noisemaker they could find and began beating, banging and screaming at the top of their lungs. Mr. Bear just looked on in amazement. Fortunately, in this remote location, the “Visitor” hasn’t really seen any humans so he probably was watching the team make each carry during the day wondering what in the world they were doing. Regardless, after observing for awhile, he sauntered off and was not seen again. Great precautions were taken that first night. No fire. No cooking. Only cold food for dinner. The food was buried and every crumb picked up. There was surely one eye open at all times that night. Sunday, Day Two on the glacier, was a glorious and sunny. There was still some elevation to deal with so the team still was not moving at top speed. In spite of that, they covered almost three miles and enjoyed a great day in the Fairweather Range. Thus far, the Big Expedition has gone according to plan…except for the “Visitor”. Everyone is healthy. The gear is working and they are bearing down on their base camp location. More to come. Both women were reported to be uninjured and healthy when Erica Nelson called her mother’s cell phone at approximately 9:15 a.m. today, while the Nelson and Flantz family members were being briefed on today’s planned search activities. The young women were asked to move to a highly visible area, remain in that location, make themselves highly visible and signal any helicopters that flew overhead. Two helicopters were immediately dispatched to search the area where the two women believed themselves to be, and to pick them up. At this time they have not been located, and there has been no other cell phone contact since the initial call. The new area being searched is north of Mount Healy, approximately five miles west of the Parks Highway. The area is a mix of national park and state-owned lands. An additional helicopter and a fixed wing are now searching this new area, and ten ground searchers and two dog teams are being inserted at this time. Search managers are making arrangements to move ground searchers from areas of the previous search into this new area throughout the afternoon if needed. AAI currently has a team in Bolivia, and they are close to finishing up their expedition. Read below for AAI Guide Andrew Wexler's most recent dispatch and to view his breathtaking photos of Huayna Potosi. 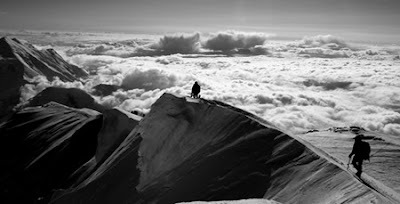 For more dispatches from Bolivia, Denali, and around the world, check out our dispatch webpage. "Hello again from Bolivia! 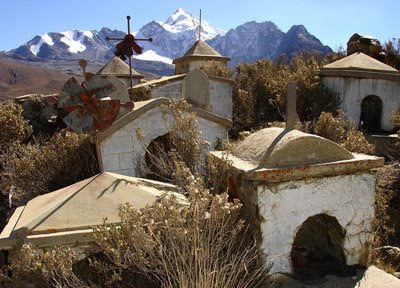 The 1st Bolivia Expedition of 2008 has returned to La Paz after a successful ascent of Huayna Potosi. Here is a brief re-cap and some highlights from the past few weeks." 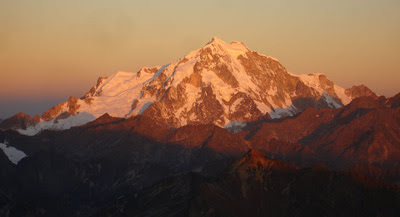 "Early in the morning on Monday, June 16, the team left the Huayna Potosi High Camp and headed for the summit. Despite some unsettled weather in the area, the skies remained clear and the temps were pleasant. We rolled out of camp on two rope teams and quickly made our way up to the flat basin below the French Face (Campamiento Argentino). From here, the rope team comprised of Tim, Johann, and myself climbed over a short, steep bergschrund and emerged into the day's first rays of sun. Ahhhhhhh... Unfortunately, at about this time, we received a call on the radio that the other rope team (comprised of Jaime, Peter and Michael), were not feeling 'top-banana.' Despite some hemming and hawing, they made the wise decision to listen to their bodies and return to camp. That left the overall success of the climb in the hands of Tim, Johann, and myself." "We gathered our strength in the rising sun and vowed (our first vow) not to return without a summit scalp! A few hours later, after much flat footing, front-pointing and duck walking, we reached the summit of Huayna Potosi herself. We sat there speechless for a few minutes, (due mainly to the hypoxia, but also owing to the overwhelming beauty of nature), before starting down. Less than two hours later we were back in camp. Michael, Jaime and Peter were feeling better and we vowed (our second vow) to celebrate the Team success in La Paz. Of course, by the time we got back to the city, we were all too knackered to do much of anything and so vowed (our third vow) to celebrate tonight!" "During our two and a half weeks together, we had some good laughs, climbed some great routes and ate too many excellent meals to remember. Tim Jung's comment (while listening to the IPOD in the dining tent), 'Are Snoop and Dre the same?' was probably the highlight of the trip . Michael Hennon's laid back composure and constant humor throughout his evening bout with Montezuma was formidable. Peter Wiesenekker's evolution from cramponing neophyte to Pequeno Alpamayo Summiteer was impressive. And Johann Melillo's list of 'First Maltese Ascents' was astounding. Well done!" "That's it from me. Jaime, Johann and Peter will be travelling to Illimani tomorrow morning for a final show down. We wish them the best of luck!" Abby Flantz and Erica Nelson have been found, alive and well. More details will be provided shortly as they become available. The families are here, and the young women will shortly be reunited with them. Today’s combined efforts of eleven ground teams and four aircraft failed to yield any new clues on the location of missing backpackers Abby Flantz and Erica Nelson. The teams were tasked with more thoroughly investigating specific segments within the search area, those sections that search managers feel are the most likely locations of the two hikers. More than 60 people were involved in today’s search effort, including more than 40 air and ground searchers and the overhead personnel who provide support and assistance to them. Five new teams will be utilized in Wednesday’s efforts, in addition to the teams who have been involved in the previous days’ search. These resources include a team from the Anchorage based Alaska Mountain Rescue Group, and search and rescue teams from Grand Teton, Mount Rainier, Sequoia-Kings Canyon, and Yosemite National Parks. Two fresh dog teams from the Alaska Search and Rescue Dog organization in Anchorage will replace the PAWS teams from Fairbanks in tomorrow’s search efforts. With the influx of fresh new personnel, searcher numbers will swell to approximately 60 people. The additional staffing will allow search managers to increase the size of the teams in high priority segments, which will allow them to search more thoroughly. Searchers will be placed on the ground for the first time in some higher elevations of the search area, sections that have previously only been searched by air. These segments have steep, rocky and snow-covered sections. There are a total of 105 people assigned to Wednesday’s search activities. The air search will continue with up to five helicopters and the park’s fixed-wing aircraft. The high-altitude Lama is available, but will be needed for a medical evacuation from the 14,200 foot camp on Mount McKinley as soon as weather conditions allow. A helicopter from the Alaska Fire Service Tanana Zone will be added to the three that were utilized in Tuesday’s operations. During the past two days, helicopters assigned to the search have been temporarily diverted to assist with two medical incidents in the park. On Monday, June 16 an incident helicopter was needed to transport a 54 year old man experiencing medical problems from the Eielson Visitor Center to the park airstrip, where he was taken by ambulance to the Canyon Clinic. Another helicopter was needed today, June 17 to evacuate a 53-year old man who had a possible broken leg two miles up the trail on Mount Healy. He was flown to the Healy airstrip and transported to the Tri-Valley Clinic. The National Park Service search managers would like to speak with anyone who was hiking in the Savage River drainage between Thursday, June 12 and Sunday, June 15. Anyone who may have information to share is asked to call (907) 683-9648. No Sign of Missing Backpackers – Air and Ground Search to Continue on Tuesday. Additional search teams on the ground, including two dog teams, and continued aerial searching with three aircraft failed to yield any sign of missing backpackers Abby Flantz and Erica Nelson during today’s search efforts. The day’s operations ended at 7:00 p.m. in order for crews and pilots to get adequate rest before the resumption of the search effort on Tuesday. Over twenty members of the ground search teams are camping overnight near the Lower Savage ranger cabin, an historic ranger patrol cabin located on the northern boundary of the park, approximately four miles downstream from the Denali Park Road. A total of 51 people were involved in today’s operations. Tomorrow’s search efforts will include additional ground search teams. They include members of Matanuska Search and Rescue from Wasilla, Alaska Mountain Rescue Group from Anchorage, and a team of whitewater river experts from the Denali Outdoor Center in Healy. The air search will continue with three helicopters and the park’s fixed-wing aircraft. The helicopters are being provided by Air Logistics from Fairbanks, Maritime Helicopters, inc. of Homer, as well as Helo One from the Alaska State Troopers. The high-altitude Lama helicopter is on a mandatory one day rest period. The search area of approximately 100 square miles will remain the same for Tuesday’s activities. Teams are being tasked with investigating search segments to the highest degree possible, which is difficult, slow work due to the rugged and heavily vegetated terrain. When you go out to the crag you'll notice that belay gloves are incredibly uncommon. The reason that they are uncommon is because most people don't see the need for them. Nobody really rappels or lowers anyone fast enough to burn their hands. A short time after the guide told me about this, we had a baby. My wife felt that when I got home from work I should play with the baby, which I gladly did. 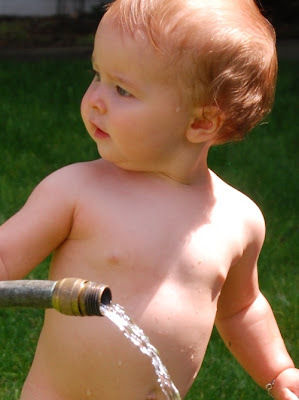 But she also felt that the black smudges I left all over the baby's clothes were a bit much. In the Pacific Northwest we got a little bit of snow this week. To say the least. Some areas actually accumulated up to two feet of new snow. So with that in mind, we thought we might offer a few ski videos to finish out this very long Northwest ski season which is pushing itself well into the summer climbing season. The first of our videos is called Patrouille des Glaciers. This is a ski mountaineering video about a race through the Alps on the Haute Route. For our second video we have an amazing movie documenting a ski trip through the beautiful and truly alpine environment of the Andes. Check it out here. And finally a sobering video about the dangers of avalanches to backcountry skiers. This video about an avalanche tragedy in Montana is often used in avalanche education classes. This week, we interview Mike Pond, one of our most recent hires. 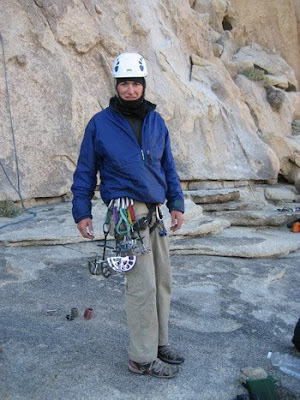 We are very excited to have Mike guiding with us - his enthusiasm and personal climbing experiences are remarkable. Upcoming courses with AAI: Alpine Mountaineering and Technical Leadership, and additional Alpine Ice courses and Mt. Baker Skill and Climb trips. This week, instead of an interview, we asked Mike to write a story on a recent summit of Mt. Baker. On Tuesday, June 3rd, my climbing partner (an AAI climber) and I climbed the Coleman-Deming route on Mt. Baker to conclude his four-day alpine ice climbing course. On the Lower Coleman Glacier near our camp at tree line, my climbing partner and I had three days of preparatory instruction in glacial travel, crevasse rescue, ice and snow climbing, and extensive rope work. My partner's mountain experience showed as we reviewed the "basic" techniques, and were able to go quite in-depth into rescue and anchor systems. After an eleven-hour skills day concluding in a tour of the lower Coleman Glacier, I knew that we would make a good team to attempt the summit of Mt. Baker. The route we set our eyes on was the Coleman-Deming route, which climbs the gradually-ascending Coleman glacier to the saddle between Baker and its neighbor, Colefax. From there, route finding becomes more difficult as one climbs the Deming glacier to its top, ascending steep snow and a little ice until the peak's summit plateau. The steep upper sections are the technical crux of the climb, but the route's true difficulty lies in its length. We anticipated that it would take over sixteen hours to complete. We woke at midnight to see weather we anticipated: cold fog and light snow – not terrible, but not promising, either. The lack of visibility was what would be the big challenge: in a whiteout, navigation becomes the crux of a climb, added onto the route's other inherent challenges from terrain. We decided to climb, agreeing that we would continually reevaluate the weather conditions as we neared the upper sections of the climb. He understood we could turn back if he ever started feeling uncomfortable with the weather or the climb itself. At 12:30am, we left by headlamp, seeing the lights of another summit team above us on the low lateral morraine called the Hog's Back, which is used to approach the northern lobe of the Coleman glacier. It was colder this morning than in the past week, resulting in firm snow that made travel easy and fast. We made good time during the first five hours of climbing. As the sun rose, it brought deteriorating weather. The flurries and fog turned into continuous snow and lowering visibility: not too optimistic, but the mountains rarely offer predictable weather. During the following 45 minutes, the conditions improved, enabling us to see at least a hundred meters – and snow had slowed. As we were right on schedule, feeling strong, and seeing the weather improve, we decided to go for the summit. I shortened the rope and started up a steeper section of the glacier with my partner close behind, following in my steps. Despite the large number of climbers that recently climbed this route, we saw only faint tracks in the snow, indicative of the recent weather: the high winds and precipitation wiped them out, leaving little for us to follow. We stepped over a few "ankle-biter" crevasses and were on our way. After a half-hour, the climbing got harder and the weather worse. Steep, firm snow made us put on crampons and walk cautiously while the wind increased. Light snow turned into a freezing rain-sleet mixture that covered our sides in a quarter-inch thick layer of ice. The greater visibility we enjoyed lower vanished as the visibility dropped to under forty feet. Following the compass and a set of bearings that we had carefully plotted out the previous night, we fought the wind and snow on our way toward the top. Climbing in these conditions was both a physical and a mental workout, as we worked diligently to maintain our course as we switch-backed our way next to the Roman Wall, the steepest section of climbing on the route. My climbing partner applied his recently-honed French technique skills that we practiced during the previous days' training on the lower glacier. After a few hundred meters of similar terrain, a sudden blast of wind informed me that we had reached the top of the Roman Wall and the base of the summit plateau. This is the last stretch of climbing leading to the top. I planted a ski pole to aid in our return navigation and set a new bearing for the true summit of Mt. Baker. A few chilly minutes later, we both agreed that we were at the top because, well, we couldn't see anything above us (we couldn't see much of anything anyway, but we were satisfied that we were standing on, or had already passed the summit). Now that we were nearly half-way through our day, I followed the compass to our ski pole that marked the way down. As we set up the rope for the descent, I chuckled at our rope's condition: the ice that built up during the past few hours made unscrewing our carabiners and uncoiling the rope quite difficult. I had to hold the biners in my hand for a minute before they thawed enough to open, and we could only uncoil half of the rope. For the steep upper section, I set up belays and did a series of lowers for my partner, after which I down climbed to him. When the slope mellowed, we walked together down to the col (with a short route finding error on my part - sorry!). At the col, we were greeted by an absence of wind, which we relished as we took a much-appreciated break. We then followed the Coleman glacier down to the Hog's Back and glissaded our way down to our camp, where some friends on another AAI course were practicing the snow climbing techniques we used hours before. Tired, and tired of walking, we found ourselves back at camp thirteen hours after leaving. Instead of spending a nice afternoon in camp, we packed and began the five mile hike out in heavy rain. With tired legs and aching feet, we arrived at the van at 5:30pm - only seventeen hours after starting. Not a bad day out in the mountains. For more information on our Mt. Baker Skills and Climb course, please follow this link. Climbing forums and websites are often incendiary places. And there is nothing more incendiary than the touchy subject of bolts. Online arguments about this subject rage page after page after page on many different sites. Examples of such online battles may be found here and here and here and in literally hundreds of other places as well. There are essentially four schools of thought on bolting. In this blog I'd like to talk about these perspectives without taking too much of a stand. This is a subject that you should form your own opinion on. The traditionalist doesn't really believe in bolts. He sees them as a blight on the rock. In extreme cases he sees bolts as an acceptable option, but if they exist in places beyond anchors, he'll disparage them. If the bolts are too close together he'll belittle the route's author. And if the bolts are anywhere near a crack that might take protection, he'll throw a rod. 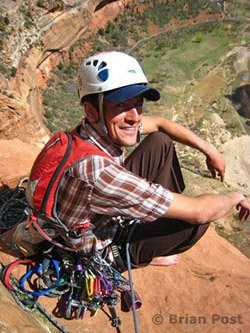 Most American climbers are offended by bolts next to cracks, but the traditionalist is generally the most vocal about the need to remove said bolts. In extreme cases, the traditionalist will actually take it upon himself to "chop" a route that he views as offensive. There are many people who only climb sport routes. They have no interest in placing traditional gear at any level. As such they are constantly looking for -- and perhaps even manufacturing -- bolted routes. Usually these bolted routes follow features where it is impossible to place traditional gear, but periodically they are near cracks. Few modern sport climbers are bold. They often tightly bolt their routes to keep the falls very small. Sport climbers would argue that their focus on harder and safer bolted climbs make them exceptionally strong. Many mock those who ignore the physical and mental benefits of climbing "safe" routes. 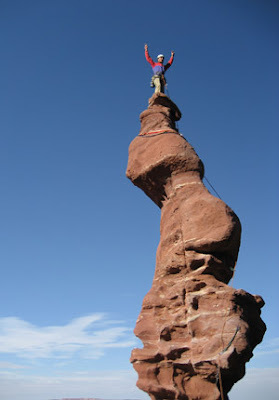 The most extreme sport climbers will replace bolts the moment that they are removed by a traditionalist. This may ultimately lead to a bolt war. Such a conflict involves the constant removal and replacement of bolted lines and usually ends in anger in the climbing community and restrictions from the land manager. 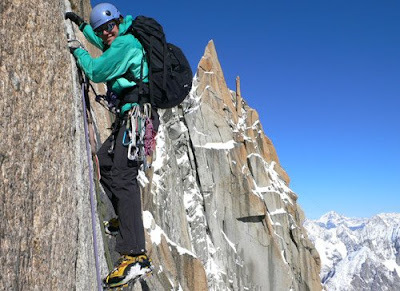 Most climbers like bolted sport climbs as well as traditional climbs. Most like it when there's a bolt when it feels exposed and most don't like it if that bolt is close to a crack. The real losers in a bolt war tend to be the average every day climbers who are a little uneasy about too many bolts, but want some. Average climbers tend to believe in "crag ethics." In other words, they believe that the history and bolting ethics of a crag should remain the same. If a crag is heavily bolted, it should remain so. If a crag is strictly traditional, it should remain so. If a crag is somewhere between, then it too should remain somewhere between. Land managers are often less concerned about the actual bolts and more concerned about the traffic that a bolted climb might bring. More people have the skills necessary to climb bolted routes than have the skills to climb traditional routes. As a result, new trails are quickly cut to the base of a wall. These trails may have an impact on protected wildlife and vegetation. When there is over-bolting or bolting that takes place outside the land manager's rules, sometimes bolting restrictions are put into place. Bolting is a contentious issue in the climbing community and it is not an issue that will go away soon. Perhaps the most important thing we as climbers can do is to keep our arguments and strong opinions within the climbing community. When non-climber land managers get involved because the issue has boiled over, that's when nobody wins. When the issue is so hot, people outside the community are aware of it, that's when crags become restricted or even closed. 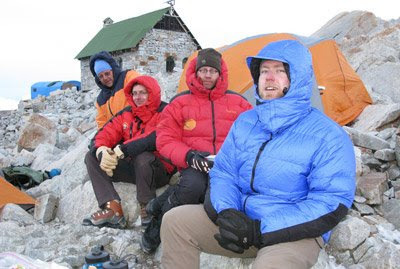 "We left for the summit at 11:00am on Friday, in pretty reasonable weather so we decided to give it a look. We climbed under blue sky and the weather was fairly nice, but as we moved on to the summit ridge we were hammered by high winds and snow. The team worked hard to reach the summit and in spite of the wind, we made it! After we reached the summit we turned right around to get back to High Camp! We got back at 2:30am in the morning and the team was very happy. After drinking lots of water, the team went to bed. We will be heading to rest at Camp 3, and then moving down the mountain and hopefully flying off the glacier on Sunday." 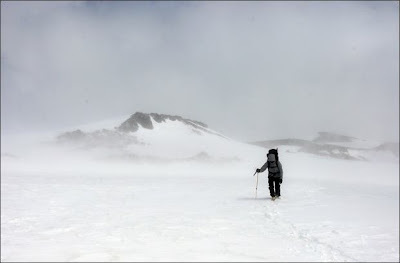 "We left High Camp at 10:00am on Saturday. The weather was warm, except it was cold in the shade of Denali pass for the first two hours of the climb. Then, it felt like the temperature warmed up even though it was minus 15 degrees out! Our team moved steadily and efficiently up the mountain. We took a break when we reached the football field. Then we powered on up it, and saw friends and other guide services on the route. Everyone worked together to get everyone to the top. At 6:00pm we reached the summit! There was a light breeze with a few clouds but we had beautiful views of Mt. Foraker and other surrounding peaks. We didn't stay on the summit for long. Our group did not want to get held up on the ridge with a lot of other climbers, which is often the case on this part of the route. So we descended down the route, and it took about two hours to get back down Denali pass - which it took us six hours to get up! All was fine all the way down to High Camp. The plan is to get up early on Sunday and power down to Camp 3 and rest. We will then make the long hike down to base camp and wait to fly out!" Check out our Dispatches webpage for more team updates and photos. Okay, this weekend it's time to look at a few of the crazy and inspirational people involved in some crazy events. First, we have some climbers on the Pencil -- a steep ice climb in Leavenworth, Washington -- who don't seem to know when enough is enough. Watch this video to see them avalanched multiple times before they finally decide to descend. You'll have to scroll down the page a bit to watch it. Second, we have a former AAI guide -- Tom Dancs -- who took this video on his trip to Little Colorado in the Navajo Indian Nation to BASE Jump. Tom has opened new BASE jump sites that are little more than 200 feet tall. Craziness! And third, we have a man who is not crazy but truly inspirational. Kev Shields is a one handed climber and we have an incredibly inspirational video of this climber sending in Scotland. To view it, click here. National Trails Day is Saturday, June 7, and to help the public celebrate, the Mt. Baker-Snoqualmie National Forest will waive fees for day-use sites, along with all Pacific Northwest Region U.S. Forest Service and Oregon/Washington Bureau of Land Management. These sites normally require a fee or recreation pass, such as the Northwest Forest Pass, Interagency Annual, Interagency Senior or Golden Age, or Interagency Access or Golden Access Passport. Revenue from recreation fees are used to maintain the facilities and services associated with trails and other outdoor recreation sites. 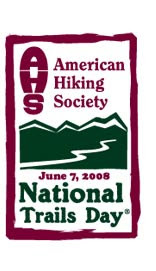 American Hiking Society’s website lists over a thousand National Trails Day events planned across the country. For information about the Mt. Baker-Snoqualmie National Forest go to http://www.fs.fed.us/r6/mbs/. This week, we interview Dawn Glanc. Please keep reading after her interview for information on her involvement in the Big Expedition for Cancer Research. Recent trips and expe ditions with AAI: I instructed the winter programs in Ouray, Colorado. I guided great clients who experienced the famous ice park and the back country classics. Upcoming courses with AAI: Alpine Mountaineering and Technical Leadership Part 3. We will either be headed to Waddington, the Bugaboos or the Pickets, depending on the conditions. I was first introduced to climbing while in college in Ohio, which was not until I was 21, where I learned to climb in the Black Hills. I was introduced to alpine climbing after I graduated college in 1998. I explored the mountains in Wyoming and Montana searching for long ice lines in the winter and rock lines in the summer. The most inspiring person in my climbing life is a tough question. Many a belayer have donated their time to my cause. Most of those people have been a part of the many amazing people who have inspired me and encouraged me do my best over the years. I feel that I have a great network of support, much of which comes from people who are not really climbers at all! Hanging out with my dog Lucy, and eating great food that my boyfriend cooks. Where is your favorite place to travel? Where do you hope to travel in the future? My favorite place to travel right now is France. I love the culture and the mountains. It is a very inspiring place to climb. I plan to travel back to Europe this coming winter-spring. I am planning to enjoy the mountains until the snow melts, then I am heading to the coast to sport climb. What aspect of climbing are you focusing most on this year? I have been focusing on a few different techniques and climbing styles this year. I have done a fair amount of mixed climbing this winter, and a fair amount of off-width climbing in the South West as well. I throw myself at these climbs and often have success. I feel that both types of climbing, are by far, the most technically demanding styles of climbing I have ever experienced. I love it though. Strength is my attitude. I try to remain positive throughout each day. I also think my sense of humor helps. My biggest weakness is that I have no speed. I have one steady pace, and that is it. Slows things down sometimes obviously. Is there anything you know now that you wish you'd known when you were just beginning to climb? I wish I knew that just because a person has climbed for 10 years, that does not mean anything. It does not mean the person is competent, skilled, or doing things correctly. However, if I knew that back in the day, I may not have had so many crazy adventures in the black hills. 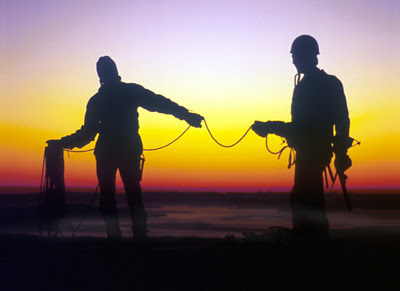 When you guide, what piece of advice to you find you give most often to climbers? Relax, breathe and use your feet. What are your must-haves? Favorite foods or gear? Chocolate and my i-pod. That can keep you going for a while. On June 13th, Dawn will embark on an expedition to climb an unnamed and unclimbed mountain in Alaska as a national awareness campaign for Cancer research and the Fred Hutchinson Cancer Research Center in Seattle, WA. The idea of t he campaign is to draw attention to the groundbreaking work being done by FHCRC by highlighting the parallels between scientific research and climbing an unclimbed peak - climbing as a living metaphor for research and discovery if you will. The climb is named The Big Expedition for Cancer Research. Kevin Mahoney, and Bayard Russell Jr. They are supported a faculty team and a mountaineering advisory committee. Although the Fred Hutch has held other cancer awareness climbs for the past 10 years, this is the first time that they will focus on an unclimbed peak. In late May, the team worked together with scientists on a training climb on Mt. Rainier. The next step will be a final team gathering on June 11th, where there will be a send-off reception at the Hutch. Final packing a nd preparation will occur on the 12th. They fly then to Juneau and on to Gustavus in Alaska. From that point, they take a boat all the way north through Glacier Bay until stepping ashore in Reid Inlet. From there it is a 16-18 mile voyage up the Reid glacier and across the ice cap where they cross several alpine passes to access the subrange which has seen only a group of four climbers in all recorded history. The leader of that trip 30 years ago, Jim Wickwire, sits on the Hutch advisory board. It is on his good authority that the team look s forward to a shot at climbing one of several untouched peaks in the range. Thus far, there have been many photos and articles written about the climb, and even a short segment on King 5 News. We are very proud to have Dawn as a part of this expedition, and look forward to reports on the team's progress.